The MyChild Easy Twin Travel System is suitable from birth and provides the perfect practical side by side travel system solution. The Easy Twin features a slim fit chassis of only 65cm making this travel system perfect for fitting though narrow doorways. In addition its durable solid rubber tyres create a much smoother ride for you and your little ones. The MyChild Easy Twin offers a stylish and practical solution when travelling with two young children, whether they are the same age or different ages. There are multiple seat combinations available for you to convert the pushchair into. 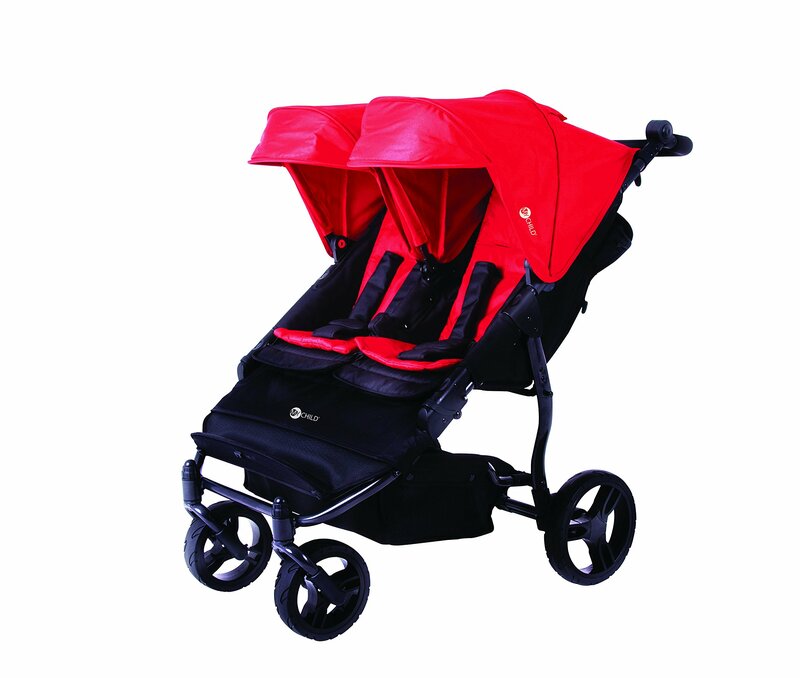 The Easy Twin can take Easy Twin side by side carrycots and car seats (sold separately). The handlebar adjusts for manoeuvrability and comfort when travelling. Its easy fold and adjustable wheel position makes this pushchair the perfect functional solution to everyday family life.